One of the things we’re most passionate about here at 5 Tool Productions is helping small business owners and marketers do amazing work. Whether it’s through tutorials like our Create Smarter video series, or inspiring interviews with entrepreneurs in our Power Hitters series, or keeping up with the latest trends in our Email Newsletter, we’re constantly looking for ways to share tips and tricks to make you more efficient in your daily work. That’s why we decided to launch the Create Smarter podcast. 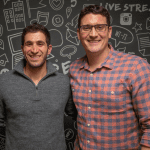 The goal is to create a place to learn about trends and tools that will help ignite your digital marketing and teach you to be as efficient as possible in your content creation efforts. 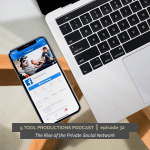 On the podcast, we’ll share success stories from other entrepreneurs and connect you with like-minded people to bounce ideas off of. In short – this is your one stop shop to get inspired and take the next step with digital marketing and running a business. You can find the podcast on Apple Podcasts, Stitcher, Soundcloud, or Google Play. Please be sure to subscribe and share with a friend you think would like this content. We’ve got the intro episode below, as well as two great interviews for you to listen to right away. Check out episode one below, and of course let us know what you think! Tyler: This is going to be fun. Huh? Phil: I think it is going to be fun. I wouldn’t be doing it otherwise. Tyler: So we are here on the microphone for the very first time launching the Create Smarter podcast. Excited about it. What are we talking about with all this? What’s kind of our goal with all this? We’ve been sitting down thinking about this for a while. Well then we started. We talked about with the car this morning. Well, it’s kind of reiterate that conversation. What, what do you kind of thinking? Phil: Yeah. I think the goal here is, well, selfishly it’s for us to talk to cool people who own businesses or do marketing and talk to them about what they do and what their motivations are and how they’re doing interesting work. So selfishly for us, that’s why we’re doing it and I think the goal is to bring those conversations to other people like us who want to get that knowledge as well, and learn from people who are doing interesting work in the content creation and marketing space and get inspired and, and hopefully take away some lessons that they can apply in their own work and, and learn from it and get something positive out of it. Tyler: I was going to say we started the series power hitters but almost like a year ago, right? A little over a year ago and I feel like we just, every time we do one too we’re like, oh, I want to do more of these because not only is it that we get to meet cool people, but we get to kind of learn from them too. Because I mean, let’s face it, this is a side hustle that’s turning into a full time hustle for us and we just kind of grown from there. But I think the part that’s scary for me in particular is that we’re kind of have no idea what we’re doing quite well. Phil: The interesting thing I think for us is, um, at least from the running a business side of things, it didn’t. Having these conversation to that no one has any idea what they’re doing and kind of figuring it out. Tyler: Everyone is trying to figure it out and then they get into kind of the repetition of here’s how the business works, here’s how it grows. But you don’t, you don’t necessarily know it right from the beginning. And I think that’s the one that anybody that listens to this, especially if you are starting out, that’s okay. You can be okay not to have every answer. You’re not supposed to. I think if you do, you probably kidding yourself a little bit. Right? Phil: And I think that’s what’s, that’s ultimately what it comes down to is trying to hear from interesting people who are doing interesting things in the marketing space and hear their stories and there’s no one right answer about how to how to do this or how to do, how to do marketing or how to run a business or how to create content. There’s no one right answer that’s going to just be one size fits all for everyone, but there are success stories and there are people who do good work and even it’s not a one to one direct application to whatever business or line of work you’re in. It’s still something you can take from it. Tyler: You can learn from someone that owns a tech company if you happen to own a pool company, right? You can learn from a builder even if you’re a bodybuilder, right? Those things, just because you might not be learning how don’t care about learning, how do I create a mail drip campaign, you might be interested in saying, I still want to learn how to market my company. Right? So there’s kind of that piece of it. You can learn from one another and I think that’s what as small business owners we shouldn’t be doing, you know, trying to learn from one another. Phil: Right? And that’s the other thing. We have a lot of clients who are small, medium business owners and the consistent thread that we hear throughout those conversations is that they want to hear from other small, medium business owners and hear what they’re doing well, whether they’re in the same vertical or a different vertical, they want to have those, have those conversations and hear from those people about what’s worked for them so that maybe they can learn something and apply it in their own business. So that’s really what this is, is an effort to bring some of those lessons learned to life so that you know, all of you listening can do better work and serve your customers better in whatever vertical you’re in. Tyler: And we can too. Phil: That’s how it started. I mean, ideally we’re going to talk to some great people who run businesses and work in marketing and we’re all gonna learn something together and I think, like you said, it doesn’t matter what industry you’re in..
Tyler: And no two stories are really alike or own way of going about it. You know, whether someone went knocking on doors, handing out flyers or some went to the town hall to learn about things or they literally created just a sales funnel online, some sort of kind of squeeze funnel that got them through. Every person is different, right? They built up a following on instagram. They’re big on youtube. Whatever it might be. But you can learn some of the tips and tricks from how they did something, whether it’s boots on the ground or not. Phil: Right. And I think you said, you know, no two stories are the same. I definitely think that’s true. 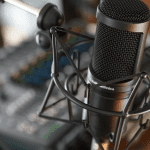 But I think what’s interesting are the common threads that go throughout all these conversations we’ve had, you know, in the power hitters and some of these first episodes of the podcast that are coming up. The questions and the doubts and the, you know, the family members being unsure of whether or not this is a sound choice for you in your life to be trying to start a business instead of taking a more traditional route. All of those things, or at least, variants of those things are kind of common threads through a lot of these conversations we have with business owners and entrepreneurs. And it’s comforting to hear some of those things too and know that you’re not alone in these struggles and there are answers to a lot of these questions and it might already – Somebody might have already solved a problem that you thought was unsolvable, maybe in a slightly different way, but you can look at it and say, Oh man, I can apply that and like get over the hump and hear what these people are saying because it’s really valuable stuff. You know, there’s no better, there’s no better information that go and right from the horse’s mouth when it comes to this kind of thing. Tyler: That’s the whole thing that, you know, I hear so often that people are like, Oh, do you have a mentor? Well, I feel like kind of our goal with this is you should have 70 mentors, right? Right. We want to give you a new mentor every other week. Someone new they can maybe teach you a little something about keeping the books. How do you pay yourself for the very first time, how do you plan for the year if you want to be something that’s seasonal versus something that’s year round, how do you quit your full time job, but maybe transition them into a client, you know, how do you do it? Um, so it’s trying to answer those questions on a fairly regular basis and really, like I said, have 100 different mentors that can kind of help you out and not just listen to them, but try to connect with them too. I think one of the things we’ve set down and said that I don’t think we want this goal to be like it, just have a podcast and be done with it. 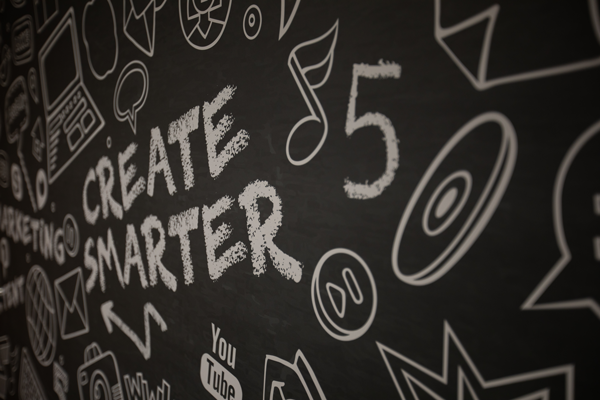 I’d love it if people could reach out to one another and connect and ask to say, oh, I just, I heard what you said on Create Smarter. I have that same problem. How do you actually fix this? Here’s my issue, right? I think in connect and learn from one another on a, on another level, whether that’s through an event, whether that’s through a one to one outreach, whatever it may be, whatever the future holds from that standpoint is kind of up in the air, but I think to help people kind of take that next step and kind of introduce them to other folks that are like-minded too. Phil: Yeah. I think the 100 mentors thing is a, is a great point and it’s every single person who does this has a different, a different story in a different way of doing it. And I think the more different perspectives you can get, the better. And that’s what we’re trying to bring. And I think that it’s so often when you’re running a business, you can kind of go head down and focus on the work that needs to be done for obvious reasons, and a lot of times if you can take a step back and, and hear what other people are doing and having success with it can be A really helpful thing to get a little perspective. And that’s what we’re trying to be – a little dose of perspective for people who need it and everyone who’s an entrepreneur, they need a little dose perspective every now and then. And it’s good to have a community and we’re trying to bring that in the form of stories with great people who are doing great work. Tyler: So let’s get into the nuts and bolts. No, sometimes it might be you and me talking. Sometimes it might be you interviewing someone. Sometimes it might be me interviewing someone. It might be. We’ve interviewed people on camera for our power hitter series. You might hear excerpts from that as well. Um, so we’re, we’re trying to do it more, a little bit of everything, right. You know, that no two episodes are going to be a like basically, right? Phil: Yeah. That’s the hope. I think whatever we think is going to be valuable information for someone who is an entrepreneur or marketer, we’re going to try to bring it to you in this format and maybe it will be a lot of times we have these conversations in a car on the way to a job and “wow, we just solved a problem!” Sometimes it will be that s we are going to try to bring those conversations with other business owners because again, it’s perspective for us and if it’s for us in all likelihood it’s going to be valuable for other people, but yet any different way that we can think to try to bring value to entrepreneurs and small business owners and marketers. That’s what we’re going to try to do here. Tyler: Awesome. I dig it man. Yeah, I’m excited. So yeah, we’ll have some fun. Hope you guys tune in, hope you subscribe, whether you’re on itunes, Google, play, whether you’re on stitcher or whatever it may be a subscribe. Hopefully you enjoy it and you know, let’s have some fun. Phil: Let us know if you want to come talk to us yourself. Tyler: Yeah, and I think that’s a good idea too. If I may think if someone out there you say, Hey, I’d love to talk with you guys, or hey, you should really go interview and talk with this person. Let us know for sure. It’s awesome. All right. He’s. He’s Phil. 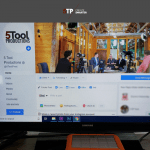 I’m Tyler were from Five Tool productions and this my friends is Create Smarter.